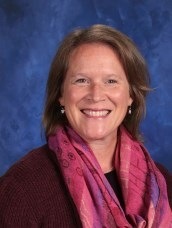 Mrs. Heather Null has a bachelor’s degree in early childhood education from Ohio State University. While attending OSU, she received training in the Reggio Emilia method with an RE team from Italy. She also worked on an OSU graduate level research project assessing Infant and Toddler relationships in a child-care setting. Mrs. Null was the director of the Aultman Women’s Board Child Care Center and a teacher-curriculum coordinator for several other local programs. She was also the Family Resource Coordinator for Cornell University cooperative extension in New York where she ran an EC program and also taught classes in early childhood education. Mrs. Null is a CCDS alumna (class of 1984) and is committed to carrying out our school mission of providing interactive learning in PK by offering engaging lessons in a nurturing environment. Heather is the of mother of three children ages 22, 19 and 13. Two of her children are in college and the youngest attends CCDS.